Last Saturday Reg’s Wine Blog got hacked, taken offline over the weekend and replaced with a spam website. We took immediate action to remove the spam content and restore the blog to its original form, although a couple of the blog posts (60 and 61) were not restored. I intend to have both those blog posts added back within the next few days. Luckily there was no breach of data or data loss, it was just someone spreading spam content. This hurts me deeply because I love sharing my experience and stories about wine, and when I saw that spammers were trying to take over my content for their own benefit it was both frustrating and disappointing. The very last thing that I would ever want is to share spam content or unwanted advertising, as you may have noticed my site does not have advertisement banners on it because I don’t believe in spamming my viewers. To give you a preview of what is being planned for the future, I intend on re branding the site with more features and improved navigation. User experience will be improved with a modern look and feel. Security has been improved already and will be upgraded even further to ensure that this type of interruption does not happen again. I want to apologize to my viewers for the interruption of service and I want to personally thank all of you for your support. I value your readership and intend on continuing to produce quality articles for you to enjoy. 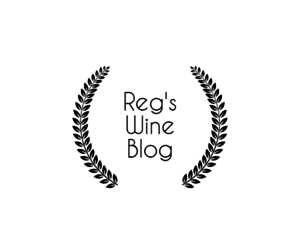 It may interest you to know that Reg’s Wine Blog has been operating for two years already, during which time our blog has been read in 110 different countries. Our current top 4 readership base is 53% American, 10% France, 10% Brazil, and 9% Canadian. When we first started Reg’s Wine Blog two years ago our readership was about 80% Canadian. Our readership base is progressively becoming more and more international and I want to thank all of you for your interest in our content. If you have any feedback on our content or the site, suggestions for future articles, or have any other questions or concerns, please contact me through the form on the site and we’ll be in touch.